Summer Blogoff Entry ~ "We'll all be millionaires one day Rodney!" Entry From GLC Money Saving Blog ~ Enter to win £50/$50! A lot has changed since Only Fools and Horses first graced our screens. Not only has society changed and moved on as a whole, but financial attitudes have changed, our culture has changed and clearly the way of doing business has changed (you wouldn’t be reading this on a computer or mobile phone in the 70s!). So the question here is whether it’s possible to still live like Del Boy in this day and age, and additionally, actually make some money from it! In the series, Derek had a happy-go-lucky and confident persona, which was pretty essential for what he called “his business”. He clearly wasn’t very successful at what he was doing but his persona convinced people to believe in him and kept his trade going. As the series progressed into the 80s, Del Boy started to fall into the 80s “yuppie” stereotype, but still maintained his confidence and belief that he was far more successful than was actually the case. 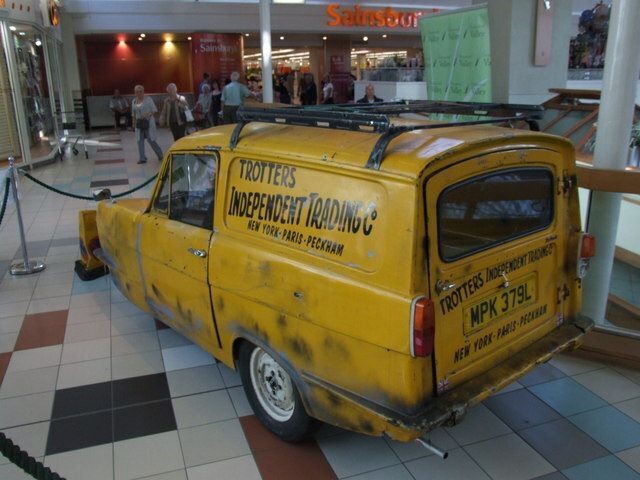 So what were the main traits Del Boy had then that can be ported to a business today? A frequently (and sometimes good) liar – not necessarily a good trait, but it’s sometimes useful to bend the truth slightly! The business was quite generic. They were traders at heart, but this involved anything from buying and selling on goods, to installing chandeliers! They took their business from place to place (rather than a fixed market stall) to seek out the trade. The trade was very ‘of the time’ and without tools such as the internet we have today, trading was a different ball game back in the 70s and 80s and clearly more localised and restricted. Some trading regulations have got stricter and easier for the consumer to re-coup lost money (not that would have bothered him), but likewise some companies today are far less responsible than they were back then; take banking for example. However, it’s still very possible to find people such as Del Boy today who occupy their local pub and will trade goods (in a similar vein to Del Boy, sometimes not completely legally! ), so it’s clear there’s still an audience for this sort of business. To make it succeed however, some things need to be changed. Internet presence – The web is so popular, businesses can’t really do without a website in today’s age. Any sort of trader would need a website to expand their market and therefore sell more. More focus on what the business does – With more businesses now than ever, there’s more competition and so any business needs to have a clear goal/focus or product to concentrate on. A general trading business would have tough competition from established brand, unless there was a clear selling point. In today’s ever more glossy world, image is more important than ever, so with these things in place, combined with the belief and traits (some if not all) that Derek possessed, it would certainly help any money-making venture succeed. On that basis, I have no doubt that it would be possible to run a modern-day “Trotters Independent Traders”. I say that quite loosely because with those things in place, it probably wouldn’t be anything like the trading company we knew and loved from those early shows. However, it would have more chance of making money, especially in today’s economic uncertainty! Thanks for your entry GLC Money Saving blog! If you think this article should win the Summer Blogoff 2012 vote for it by giving it a Facebook Like!